It's a little later in the month than when I usually post these, but better late than never. It might also just feel later since this month is shorter. Everyone talks about how January feels like it takes forever, but then here comes February that feels like it lasts as long as a blink. The two extremes! 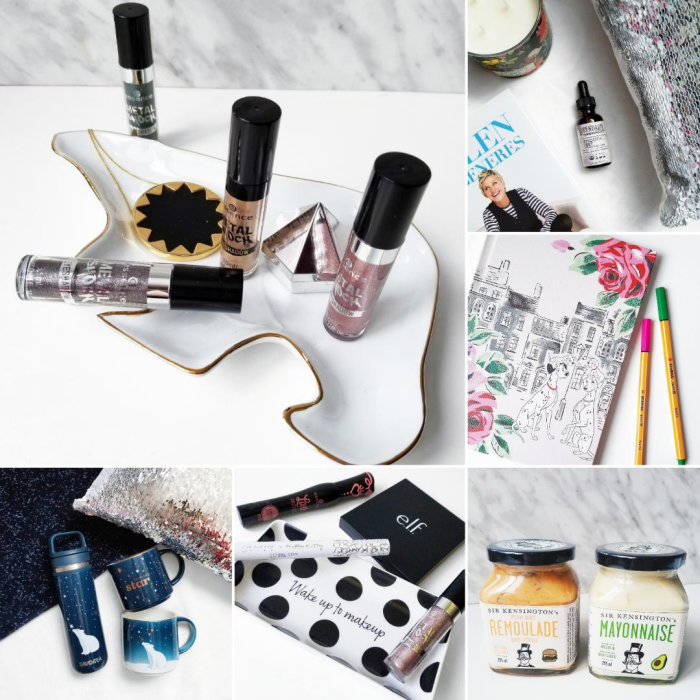 So here we are with my round-up of a few pictures from my Instagram during January. I have to be honest and say that I am not really feeling Instagram right now. I still get on and post, like, and comment, but it has been feeling impossible to grow lately. I'm super grateful for the connections and relationships that I have on there, but it's a bit of a blow to sign in and always see a mass exodus of followers. As someone who tries to grow more organically, it just feels like the algorithm is doing me no favors. I just wanted to say all of that to let you know that if you feel like that, you are not alone. And if I'm following you, I'm trying to do more about showing support and finding you in my list even when the algorithm doesn't. 1. My most liked Instagram photo ever. During a weird month seeing my numbers all over the place, this was a pleasant surprise! // 2. NYX Advent. // 3. Winter requires me to carry a hand cream everywhere. 4. 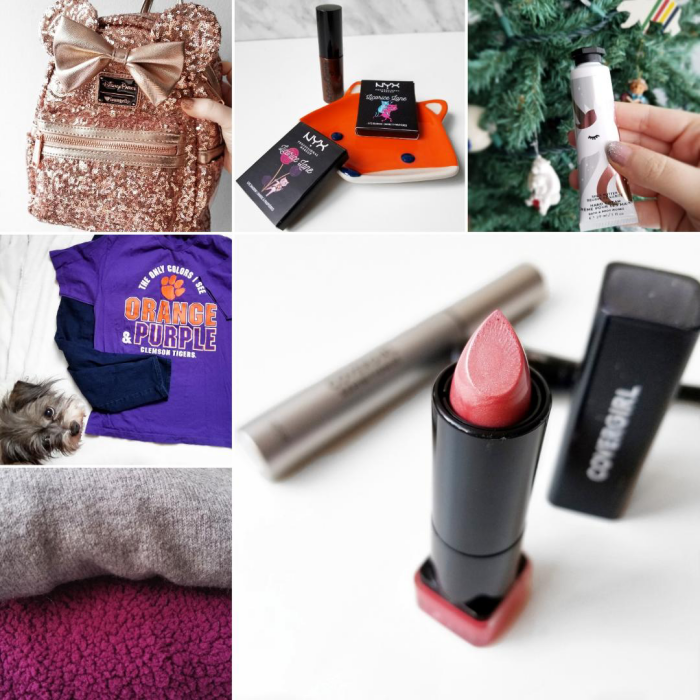 CoverGirl Exhibitionist Influenster box. // 5. Old Navy haul. // 6. Clemson Tigers won! Also, cute photobomber. 7. Essence Metal Shock Shadows // 8. Smooth Feet Foot Care // 9. The prettiest mugs.